2015 was an explosive year in many ways in Huntington. Here are several quotes that highlight a controversial year in Huntington. 10. "If this proposed acquisition goes forward, it would eliminate important competition that has yielded tremendous benefits for Huntington-area residents. The merged hospitals would have a market share of more than 75%, and local employers and residents are likely to face higher prices and reduced quality and service at the combined hospital.” Steve Weissman, Deputy Director of The FTC's Bureau of Competition concerning proposed merger of St. Mary's and Cabell Huntington hospitals. 9. "We've got a serial killer; I mean, it's that serious. I mean, when you look at these numbers this, if it wasn't for our medical facility, this could be the number, 680 dead," said Jim Johnson, director of Huntington's Office of Drug Control Policy about the drug epidemic. 8. "Lawlessness has to be stopped in this city. You can't just do it , however, Stevie (Mayor Williams) wants it. 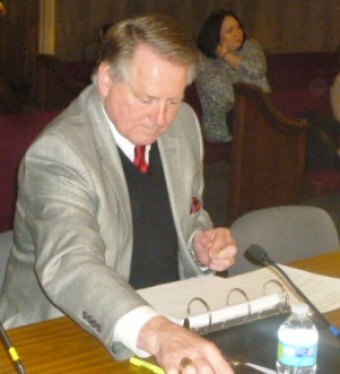 "- Tom McCallister at a City Council meeting discussing street cleaning contract. 7. "Here’s a President who wants to come to West Virginia and says he feels our pain, he understands our pain, but in reality he’s causing our pain,” Congressman Evan Jenkins speaking about Obama's War on Coal and then coming to speak on the drug problem. 5. "There is no liability calculated for unpaid accumulated SICK LEAVE unless the employee is eligible for retirement" - 2014 Huntington Audit by WV.